You can’t really get drunk off this cake though, unless you ate a few cakes. If you’re looking to get drunk I wouldn’t suggest eating a few cakes. It would probably be better to go to a bar and collapse on the floor. Although the cake is chocolate, it has a nice red-wine flavour that enhances it. 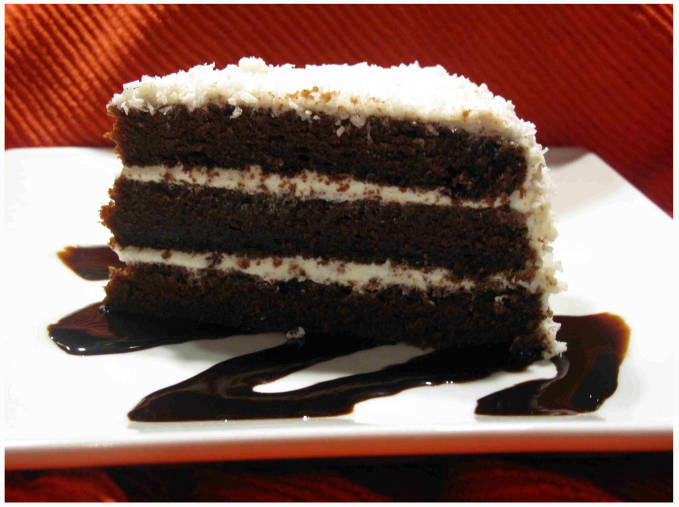 Plus, the coconut adds a bite to the cake which makes it perfect. An adaptation of red velvet cake with coconut that gives it a nice crunch. Velvety smooth and rich, it's the perfect treat. Preheat the oven to 350F and oil and line three 8" pans. 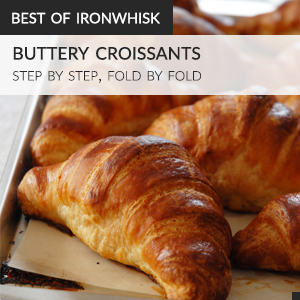 Sift together the flour and cocoa powder to remove lumps, then set aside. In a large mixing bowl, cream together the butter, oil, brown sugar, salt, baking soda, baking powder, cinnamon and vanilla. Let the mixer run for about 10 minutes, making sure to scrape down the sides of the bowl from time to time. Turn the mixer speed down to medium low and add the eggs, one at a time, fully incorporating each egg before adding the next. Reduce the mixer speed to low. Alternate adding in a few tablespoons of the flour/cocoa mixture and pouring in the red wine, scraping down the sides of the bowl before each addition. Divide the batter evenly between the three prepared cake pans. Bake the cakes for thirty minutes or until the cakes have domed slightly. A toothpick inserted into the very center should have a few moist crumbs still attached. Cool the cakes on a wire rack for a few minutes then invert and let cool completely. Then wrap in plastic wrap and refrigerate until cold, about 2 or 3 hours or until you're ready to use the layers. Combine the cream cheese and butter in a large mixing bowl. Cream together until smooth and lightened. Sift in the powdered sugar about a cup at a time, then beat in high speed until light and fluffy. Add more powdered sugar if needed. Beat in the vanilla. 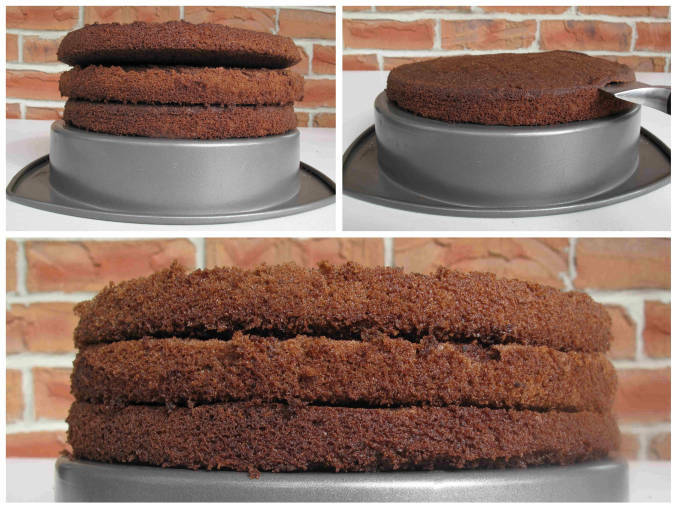 Trim the domes off the chilled layers of cake so they are flat. 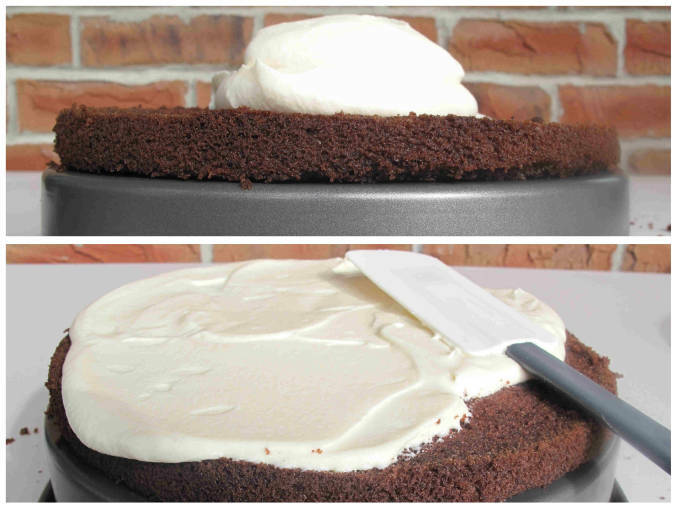 Spread with a generous amount of frosting, then top with another layer of cake. Spread with more frosting and add the top layer. Crumb coat the entire cake with a small amount of frosting, then frost and throw macerated sweetened or unsweetened coconut at the cake. I'm serious. Throw it at the cake. It's tons of fun and gives the cake a bit of a crunch. 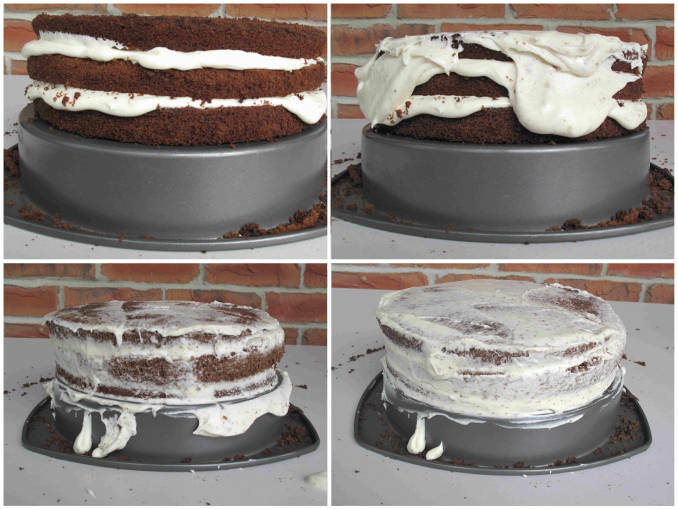 If you're having trouble frosting you can ask me below, but I'm planning to put up a guide to frosting cakes soon. My goodness, and your 16 what a future you have coming up. Hello from Australian and I loved your cake. Kaitlin, dont ever trust a cop, pay the fine cheaper in the long run………..they really are not nice people! Love it and made with the best stuff: chocolate, coconut and booze. I’m adding this to my baking list.